This is a universal question that all of us might have thought about: who actually knows me? 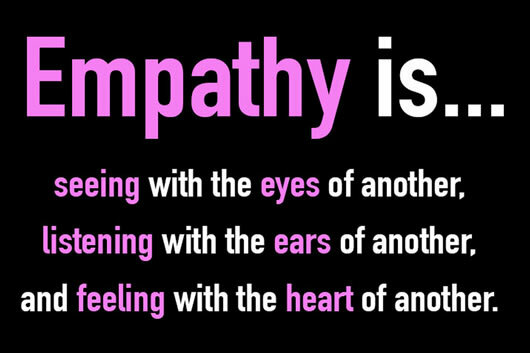 Empathy, in common terms, is the understanding of another’s belief, desires, and feelings directly, AKA perspective taking. It is unfortunate that people often experience empathy gap: “an inability to understand each other’s unique perspectives” due to their “misinterpretation of the other party’s actions” (Bohns & Flynn 2). Through this blog sequence, we will explore Morton’s false guidelines for empathy, a Facebook post that received many empathetic responses which altogether made some community impacts, and audience reactions to Harper Lee’s portrayal of Atticus in Go Set a Watchman. Eventually, we can come to the conclusion: although our present skill and readiness to empathize can serve as the key for interpersonal connections, and, in turn, we gain potential to create a social impact, our flaws to fully empathize could sometimes cause misunderstanding and disagreements in communities. Perspective taking can go the wrong directions. Frequent enough, a person is affected with their “concerned about their reputation, self-esteem, and relationships”, which “lead to misinterpretation of the other party’s actions” (Bohns & Flynn 2). We all have individualistic approaches to empathy. The first blog Evaluating Morton’s Pseudo Empathy discusses Morton’s description of pseudo empathy (when we think we know how others felt, but in reality, we only know how we would felt in an imagination induced situation) in his article Empathy for the devil. Morton’s high standard for “accurate empathy” (feeling exactly how the other would feel in the same situation), a standard unrealistically high to achieve. In his article, Morton has provided no example of any non-pseudo, perfectly accurate empathy. “To make judgments about another person’s attitudes and behaviors—an individual will typically draw on her own experience as a starting point and adjust from there. However, these adjustments are often insufficient, which can result in striking social prediction errors” (Bohns & Flynn 7). For example, asking a pair of twins who lived together all their live about how they like the novel Go Set a Watchman (This is like when people looks at the same situation), and it’ll be dubious for them to have the same exact feedbacks about why or why don’t they like the novel (People then interpret the situation differently). Now think about a person who has never read the novel, s/he reads the twins’ feedback (Now the bystander of the situation is inexperienced in a specific circumstance). Would s/he be able to empathize perfectly with either twin just by hearing their feedbacks? That would be unlikely. After weighing the existence credibility of accurate empathy, the second blog post: Virtual Connections that Can Alter Policies presents a social media uproar triggered by communal empathy, demonstrating the ability of empathy to connect in between people. Even when empathy is not perfect. It starts with an agitated mother who’s daughter Franyo was mistreated by the school authorities wearing a skirt that was later found to fall within the limit of school policy. She decided to post her and her daughter’s experience on Facebook under anger. Facebook shares soon increased exponentially (more than 1K to be exact). In only a day after, the school authorities apologized to Franyo due to the social media pressure. It seems to be a successful counterattack against unfair code enforcements. Social media is an easily accessible tool for everyone who desires more effective help from others, “not only because the tool can facilitate the efficient matching of helpers and help-seekers on a larger scale … but also because its format allows users to avoid many of the pitfalls of emotional perspective-taking.” (Bohns & Flynn 16). The entire Facebook post’s comment section either shows support or understanding, some even shared their own personal stories to relate with Webster. Facebook offers the 222 commenters a platform to agree, empathize, and share opinions with each other, which also generated the power to change a piece of the community, a portion being the apology Franyo received from her school. The harmonic community engagement above contrasts with instances described in the third blog post: Disscusing Atticus Without his Sugarcoat. Where Atticus in Watchman disappointed his daughter and many readers due to flaws in empathy. “emotional perspective-taking, requires … two, adjustments. First, an individual must make the same error ridden initial adjustment from “self” to “other” … Second, the individual must make a second adjustment from “self in current emotional state” to “self in a different emotional state,” which can lead to its own set of errors” (Bohns & Flynn 16). The glasses might allow the man to make believe that he actually sees from the lady’s POV. A perspective taker must be able to place themselves in another’s situation entirely while feeling how the other would feel in the exact situation. However, everyone can only see from their own perspective and knowledge, even when they witnessing the same event. In To Kill a Mockingbird by Harper Lee, although Jean spent all of her childhood around Atticus, witnessing the court cases and town disagreements Atticus overcome, but fact is, people are “unable to draw upon their prior experiences with seeking help when we are in the position of a potential helper” (Bohns & Flynn 8). Have you felt starvation before? Have you walked pass a possibly ravenous homeless person begging for food without batting an eye? For ones who answers yes for both questions, that is because we can’t even perfectly recall and empathize with our very own experiences. When Uncle Jack yelled: “Jean Louise, have you ever met your father?” (Watchman 271) We know neither did Jean Louise nor some readers have even placed themselves in Atticus’s position. They have always falsely predicted Atticus’ motives. Jean thought she knew her father well since she always sees what he sees, but she didn’t realize that they are different entities – she cannot be thinking what Atticus thinks. For the non-judicial readers, they are misled by seeing solely from Jean’s point of view, resulting in the massive public dissatisfaction with the novel. Empathy is a complex process. The restrictions (their values, beliefs, desire and lack of knowledge) people carry made it impossible for people to fully feel with another. However, there is no doubt that empathy is essential to the development of humanity. Empathy with more accuracy connects people who are driven by similar motives. Now back to the question: Who “can” really know us? This question has an answer. And I’ll leave it for you to decide after reading the blog sequence. Bohns, Vanessa K., and Francis J. Flynn. “Empathy Gaps Between Helpers and Help-Seekers: Implications for Cooperation.” DigitalCommons (2015): digitalcommons.ilr.cornell.edu Web. Lee, Harper. Go Set a Watchman. New York: HarperCollins, 2015. Print. To Kill a Mockingbird. Dir. Robert Mulligan. By Horton Foote. Perf. Gregory Peck, Mary Badham, and Phillip Alford. Universal-International, 1962. Web. Byrd, Caitlin. “Facebook Post about Moultrie Middle School Student’s Skirt Goes Viral, Reignites Dress Code Debate.” Post and Courier. N.p., 23 Sept. 2016. Web. Webster, Suzie. “Suzie Webster’s Facebook Post.” Facebook. N.p., 21 Sept. 2016. Web. Figuring out what empathy is and what it does is not as simple as looking to the lexical definition and instantly becoming an expert; it takes exploring empathy through different lenses and using personal experiences to truly get a good grasp as to what this empathy thing is all about. I too am on my own journey exploring empathy. I am looking at how it is currently being used, through the social media platforms that exist in this digital age, how it has been used in the past, through the lens of historical characters in fictional novels and authors of philosophical writings, and all along the way, how I have personally used and seen empathy used, through my every day experiences. Empathy is like a puzzle- forming connections with others can be tricky. Empathy is a puzzle, an inherent compilation of emotion, logic, and experiential learning working together to get the best sense of another persons’ true feelings. One thing I have learned is that no person lacks uniqueness and that fact is not an “empathy stopper”, but rather a huge contributor in the desire to explore empathy. We yearn for connection- something to bond over and share, a place where two (or more) human experiences overlap. We find this through empathy. We take our own experiences, along with the perceived experiences of others and work our way towards a better understanding of one another, leading to a better connection. It is an unavoidable phenomena, for empathy is inherent in us as human beings, but why even try to avoid it in the first place? I shall not take an Ockham’s razor approach to empathy; instead, I will continue the journey towards deeper human connection and work to develop my empathic abilities and shape the way empathy is used in society. Within this blog, you will find a post referencing Adam Morton, who writes on the differences between empathy and pseudo-empathy and the struggle with trying to empathize with those who commit atrocities and are much unlike ourselves in his work “Empathy for the Devil”. Within this post, I argue that Morton’s guidelines for empathy are far too strict and drawing a hard line between empathy and pseudo-empathy is erroneous. I believe empathy to be a real, attainable and developable skill possessed by human beings, and I argue that there is no such thing as pseudo-empathy, what Morton describes as merely feeling what you think you would feel instead of actually understanding what the other feels, and rather that we all vary in our empathic abilities , but what we feel is not wrong or fake, but a varying degree of connection to the other person depending on these abilities. Living in a digital world, one may continue the search for deeper connections through the use of technology and wonder whether this is the right thing to do. Is empathy limited to face-to-face interactions, or does it know no bounds? Within this blog, a post about the impact of social media on our empathic abilities will also be found. I discuss the massive social media response to the Paris terror attacks in 2015 and argue that the “digital age” we live in is actually helping us further develop our empathic abilities. I reference a contrasting opinion from cultural analyst Sherry Turkle, who believes that technology is taking away from our empathy and human connections and argue that she is misinterpreting the effects of social media because it actually exposes us to a much bigger social network that keeps us in the loop and allows us to practice empathy with more people than ever before. If you are searching for a concrete example of empathy to follow, a post responding to Harper Lee’s Go Set a Watchman will be found in this blog sequence and I will discuss how rather than accepting that there are concrete examples of empathy, looking at popular “empathy exemplars” through a critical lens will provide more insight into developing your own emphatic abilities. Having read Harper Lee’s To Kill a Mockingbird prior to Go Set a Watchman, I could not ignore such drastic changes in characters such as Jean Louise Finch and Atticus Finch. I discuss how these character changes impact society in a negative way by first lessening the beneficial impacts brought by To Kill a Mockingbird, which highlighted issues of race and social justice and provided a shining example of how to stand up against it, and then by providing no exceptional lessons in morality from characters in Go Set a Watchman. Atticus Finch, the promoter of empathy and beloved protagonist of To Kill a Mockingbird is shown to be highly hypocritical in Go Set a Watchman; this change in character brings confusion to those exploring empathy, for the once exemplar of demonstrating empathy can no longer be looked to as such. This portrays the dynamic nature of empathy and is just another example of why empathy deserves a much deeper investigation than looking just to its lexical definition. One empathy exemplar, even one as popular as Atticus Finch in To Kill a Mockingbird, is not enough to grasp a complete understanding of empathy, especially independent of the empathy exemplar’s other actions that may deter us from thinking they deserve to be an empathy exemplar at all. Empathy is dynamic and its roles change depending on the context, but the very purpose of empathy- bringing us eye to eye and allowing us to connect- remains unchanging and should not be limited due to prejudices or any other outside factor. Empathy has played many roles. In its “philosophical heyday” in the transition from the 19th to 20th century, “empathy had been hailed as the primary means for gaining knowledge of other minds and as the method uniquely suited for the human sciences” (Stueber). Now, empathy is not only explored through philosophical inquiry, but also by psychologists by the same methods used for exploring the empirical sciences (Stueber). We explore empathy in so many different ways; and throughout this blog I explore few of all those that exist. I hope you will find my explorations of use to you and that they will help you continue your journey towards deeper connections . Atticus Finch Teaches His Daughter Scout the Best Lesson in To Kill a Mockingbird. Dir. Robert Mulligan. Perf. Gregory Peck and Mary Badham. Law Offices of John M. Phillips, 2014. Youtube. Web. 10 Nov. 2016. Connected, but Alone? Prod. TED2012. Perf. Sherry Turkle. TED. TED Conferences, LLC, Feb. 2012. Web. 20 Oct. 2016. Lee, Harper. To Kill a Mockingbird. Philadelphia: Lippincott, 1960. Print. Morton, Adam, and Peter Goldie. “Empathy for the Devil.” Empathy: Philosophical and Psychological Perspectives. By Amy Coplan. Oxford: Oxford UP, 2011. 318-30. Print. Sober, Elliott. “Why Is Simpler Better?” Aeon. N.p., n.d. Web. 01 Nov. 2016. Stueber, Karsten, “Empathy”, The Stanford Encyclopedia of Philosophy (Fall 2016 Edition), Edward N. Zalta (ed. ), Web. 01 Nov. 2016. When Can We Feel Empathy? Pretend you are a murderer. I am assuming that most of you are not, and I would go as far as assuming that most of you would even have difficulty pretending you are. This is because as a common person, you find it extremely difficult to understand why someone would kill another person. Now imagine you are someone who is struggling to survive so you shoplift a store to put food on the table for your family. While this is also wrong, you can probably understand why someone would do this even though it is inherently wrong. So why can you put yourself in one situation but not the other? Such a phenomenon is presented in my three following blog posts about a person’s ability to empathize with someone who has done a misdeed. To answer this question, I would like to rephrase my question in a way that hopefully helps you to understand more about empathy after reading the three blog posts. To what extent does a situational difference between an audience and a person that we hope to empathize with hinder an audience’s ability to empathize with this wrongdoer? In simple terms, according to Christian Happ’s Cyberpsychology, Behavior, and Social Networking, empathy will make people act more favorable towards good people and less favorably towards bad people. In these following three posts, I will define, as clearly as I can, my own answer to this question. I will first oppose the opinion of an author who claims that while people cannot fully empathize with those who commit atrocious acts, they can at least in part understand the motives behind these acts that have essentially no relevance to their lives. I will then give an example of this phenomenon with a man who commits a heinous act and explain why it is so difficult to empathize with this person. Finally, I will give a counterargument to this thesis with a famous book character that seemingly takes a turn for the worse from one book to another. This will help show that there is in fact a barrier that we as an audience can pass through and empathize with a person. In order to understand more about these following blog posts, I will now introduce them a little bit more thoroughly. My first post examines the way that Adam Morton’s Empathy for the Devil explains the extent to which people can empathize with those who commit atrocious acts. Morton ultimately argues that despite a false sense of empathy that people may try to feel for a person who commits these acts, it is extremely difficult to find similarities with this person and therefore, empathize with such a person. While I argue that Morton’s argument is largely correct, I do not believe that people can even go as far as pretend that they can empathize with someone who commit more sinister offenses. Such a case in seen in my second post about a man named Zach Davis who was fired from a job for a Twitter post that dehumanized the black people in Baltimore, comparing them to the apes in The Planet of the Apes. While the man was simply expressing his opinion about a social issue, this act of racism is unforgivable for many people. This is seen in the person that fired Davis from his job as a sheriff. Unless you are a person who has made this kind of mistake, it is tough to empathize with this man whose life was severely changed for the worse. Much of the conflict in being able to identify with Davis is that there are few people who feel the same way that he does. In contrast, a case where there is less difference between personal experience and a wrongdoer makes it significantly easier to empathize with this person. My final post takes the opposing viewpoint of the previous two, examining Atticus Finch’s character in Go Set a Watchman. Atticus Finch is a man known for his role as the man who attempted to change everyone’s mind about racism in Harper Lee’s To Kill a Mockingbird. In Harper Lee’s ‘sequel’, Go Set a Watchman, Atticus’s character changes significantly, at least on the surface, and many To Kill a Mockingbird fans are deeply saddened by the racist qualities he exhibits. I argue that because Atticus is in an environment where people are racist, he seems to exhibit the qualities of the mob. However, with further examination into his character in Go Set a Watchman, he does not share the same opinion that others in the novel do about black people. If people can understand that Atticus Finch is at worst acting in the way the people around him are acting, they can understand his situation and empathize with him rather than bashing his seemingly horrid transformation. Christian Happ’s Cyberpsychology, Behavior, and Social Networking puts empathy in terms of how people are generally able to empathize with the protagonist in the game and are more likely to be violent towards the villain. The user could choose which character he or she wanted to play as, so when the user chose the protagonist, s/he was willing to beat up on the villain. However, when the user chose the antagonist, it was harder for them to want to beat the protagonist. This analogy helps us envision why in the context of my three blog posts, why we are able to empathize with some people and not with others. I am not saying that people such as Zach Davis are villains, but people oftentimes associate the atrocious acts they commit with villains rather than hero, so it is much more difficult to empathize with them. I hope my three blog posts will help you form your own opinion about how when people can generally empathize with others and when they find it more challenging. Happ, Christian, André Melzer, and Georges Steffgen. Cyberpsychology, Behavior, and Social Networking. October 2013, 16(10): 774-778. One of the largest debates surrounding the concept of empathy is the extent to which it should be used in making decisions. Some argue that in order to be entirely unbiased, as one would need to be on a jury, for example, empathy should be entirely left out from the decision making process and one should focus strictly on facts. Others believe that empathy is an important consideration that makes us human and allows us to empathize with various people and situations. While my blog posts don’t confirm the ‘right’ position in any sense, they aim to investigate these ideas for a further understanding of the practical uses of empathy. The first blog post about disagreement with Morton’s passage Empathy for the Devil discusses the limits, or lack thereof, of our imagination in empathy. Morton’s argument as a whole revolves around the idea of the limitations of empathy for atrocious acts, but he makes a minor claim that our empathy is unlimited in the fictional world. This is partially because the audience understands that it isn’t real and it’s actually occurring, and partially because the creator of that world attempts to make characters that are easily relatable to the audience, so we feel more connected to them. However, the most atrocious of acts cannot be empathized with, no matter the circumstance, based on basic universal ethics that disapprove of humans committing these acts. In this instance, empathy should not be considered as a viable emotion in how an audience views a character that commits actions that are so horrendous. My second blog post discussed the implications of empathy and its role in social media, specifically for Ashley Payne, who was fired from her teaching job after an anonymous parent reported her Facebook posts to the principal at her school for inappropriate behavior. Payne posted pictures of herself on summer vacation enjoying some wine and beer, and once referenced a swear word in her post. Because the certain viewer of her post was enraged and didn’t empathize with Ashley’s situation or her reason for posting, they complained and she was consequently forced to resign. Social media commonly lacks this theme of empathy, and users disregard any consideration of others’ feelings when posting. The final blog post, surrounding the book Go Set a Watchman, develops ideas of the inherent racism found in Jean Louise’s hometown of Maycomb, Alabama that she failed to notice as a young girl, and the gaping hole where empathy for all people should be. Decision making in Maycomb is characterized by white privilege. When she returns in the beginning of the telling of this story as a grown up, she is astonished to see how different the town, and particularly her father Atticus, is from how she remembered it. She came from New York, where racism was dying at the time and cultures were becoming more welcoming and inclusive. However, in her southern little city, empathy for those of different races was still extremely lacking. Jean Louise and the audience discover that most people there, and especially Atticus, act irrationally towards those who they consider inferior, simply because they can. They favor people like themselves and have no empathy for anyone else, therefore they refuse to make decisions that support them. There are no set-in-stone rules for how empathy can be involved in decisions; it mostly depends on the situation. In general, it’s best to use what Adam Smith, in the context of Martha Nussbaum’s writing, calls a judicious spectator: someone who takes empathy into account and factors in the influences of a victim’s emotions, but still keeping an open mind as to not have prejudices towards any particular side or decision (Poetic Justice, 72). While even this isn’t completely and entirely effective, it’s the best place to start in utilizing empathy as a decision maker. Nussbaum, Martha. “Rational Emotions.” Poetic Justice: The Literary Imagination and Public Life. Boston: Beacon Press, 1995. 53-78. Print/Web. How much Empathy is enough Empathy? I have learned that analyzing empathy is not an easy task. However, it is a discussion which is important because of the value of empathy as a human attribute. Empathy is valuable because it allows humans to interact successfully, it does this by helping us understand people’s emotions and consequently their actions. Throughout this blog sequence, I have discussed the limitations of empathy, the value in empathy and how empathy can exist in different contexts. More importantly, this thread focused on the varying forms of empathy. Blog 4 looks at an argument which poses a limitation on the accuracy empathy. Blog 5 talks about virtual empathy and Blog 6 looks at self-serving empathy. This final blog is aimed at helping us recognize the point at which the understanding we have of people’s emotions is sufficient for it to result in accurate empathy. To do that we will first look at the respective forms of empathy in the blogs in this thread and then attempt to define accurate empathy. Empathy can loosely be defined as the ability to “imagine” and ultimately understand how someone else is feeling as well as share their feelings. 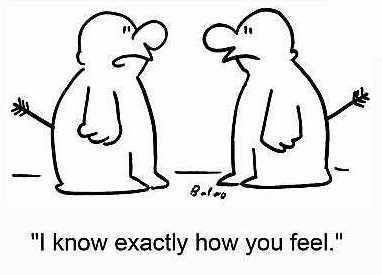 This definition does not clearly state whether or not the feelings you feel (as an empathizer) are exactly the same as the individual you are empathizing with or if your understanding of their situation just results in an arbitrary emotional response. In addition to this, the definition brings out one of the limitations of empathy. Which is, our ability to understand someone’s emotions relies on our ability to imagine their emotions and their perspective. Blog post 4 set the foundation for this sequence of blog posts. The Blinkering Effect vs Moral Deliberation considers a limitation of empathy towards people who commit atrocious acts. In Morton’s article, Empathy for the Devil, he speaks about how most people are “reluctant” to overcome the barriers to empathize with people who commit atrocious acts (322). In this article, I look at the possibility that this limitation could be viewed as a tool that fosters accurate empathy. With this reluctance, we are able to engage in “Moral deliberation” which results in an adequate amount of understanding making a conducive environment for accurate empathy. Blog post 5 speaks on empathy in social media which is commonly referred to as “virtual” empathy. Is Social Media really destroying our Capacity for Empathy? expands on the effect of social media and analyses if this effect creates or destroys our capacity for empathy. Posing the question, is virtual empathy accurate empathy? In discovering the differences between real and virtual empathy we considered the extent we understand people’s emotions via social media. This helped us consider whether or not virtual empathy is accurate or not. Blog 6, Is Jean’s empathy self-serving?, speaks about the kind of empathy most people experience, empathy that is self-serving. This blog looks at the empathic emotions Jean expresses towards the black minority community in Go Set a Watchman. After analysing specific interactions between characters in the novel, we consider the possibility that Jean’s empathy is only a result of her personal anger. The question of whether or not self-serving empathy is accurate empathy is something I struggled with a lot. Take for instance the motive behind voluntary work. On one hand, you are helping the community. However, you could be motivated by the personal satisfaction that comes with helping others. I could argue that doing charity work makes one feel better for being privileged. This idea of self-serving “good acts” is expressed in the 6th blog post. After discovering the possibility that Jean’s empathy is self-serving, we are left to wonder whether or not her empathy is based on an adequate understanding of the challenges faced by the black community so that it can be deemed accurate empathy. It is safe to assume that the most desirable form of empathy is accurate or legitimate empathy, and I hope to explore whether or not virtual and self-serving empathy falls under accurate empathy. To find out whether or not these different types of empathy are mutually exclusive to accurate empathy we need to clearly define accurate empathy. Upon research, I discovered that the definition of empathy and more especially accurate empathy heavily depends on the context in which empathy is required. Some situations better foster empathy than others. Take for instance an experience most people can relate to, a crying baby on a plane. Normally people have the ability to relate to and empathize with a child outside of a plane. However, more often than not people get annoyed by a screaming child on a plane, that does not mean you are unable to empathize with children in distress but this particular context resulted in a different emotional response. In Duncan’s article, Perceived Empathy, Accurate Empathy and Relationship Satisfaction, he speaks of the relationship between perceived and accurate empathy in heterosexual relationships. To study this relationship, he conducts an empirical investigation. Duncan argues that “higher accurate empathy will occur when people assume that the other person is more like them and when both people have more similar views” (329). Relating back to the scenario in the plane, parents tend to empathize with the parent of the child over empathizing with the child because of their shared experience, parenting. Duncan’s definition of accurate empathy is also applicable in our above-cited blogs. In The Blinkering Effect Vs Moral Deliberation, we realize that “morally sensitive people” choose not to acknowledge the similarities they have with perpetrators and it is for this reason that the Blinkering Effect of Decency or Moral Deliberation inhibits accurate empathy. In the blog post on virtual empathy, we understand that without this belief of similarity we cannot express or experience accurate empathy (on social media), according to Duncan. And finally, in the blog about Jean’s self-serving empathy we recognize that her empathy is self-serving because of a lack of understanding of the group she is empathizing with. Though she wants to believe that she is similar to the black community her privileges blind her from fully experiencing empathy. She does not fully understand struggles faced by the community, however, she believes that she does. So according to Duncan’s standards, Jean does experience accurate empathy because his definition depends on the empathizer’s perception of their own understanding and their perception of the similarities they share with the group they are empathizing with. In Kraus’s article, Social class, Contextualism and Empathic accuracy, claims your economic status influences your capacity for accurate empathy. Kraus states that “Empathic accuracy reflects the ability to judge the emotions of other individuals” (1717). So we can see that the accuracy of empathy is based on your ability to understand the next individual. This is where our driving question comes up again, at what point is one’s understanding sufficient for it to become accurate empathy. This blog will continue to explore this question. Cramer, D., and S. Jowett. “Perceived Empathy, Accurate Empathy and Relationship Satisfaction in Heterosexual Couples.” Journal of Social and Personal Relationships 27.3(2010): 327-49. Web. 29 Oct. 2016. Empathy can be a strange concept. It is often either confused with sympathy, its close cousin of sorts, or remains an abstract entity with vague meaning. If not, those who can define empathy often describe it as the ability to feel what another feels. But even then, this definition is a bit of a blanket statement; it implies that we can actively decide when we empathize and when we do not. And we can, to some extent. We can rationalize when to empathize and when not to, but empathy is complex and controlled by both internal and external factors. Then one must ask, what are the internal and external mechanisms and why do they exist? If people tout empathy as something that the world can always use more of, why do we experience lapses in empathy? Lapses in empathy are designed to keep the individual aware of their surroundings without losing their sense of self. It is the combination of internal and external mechanisms that helps moderate empathy, maintain good judgment and a healthy state of mind, given that they are applied in the appropriate situation. Ethics professor Aaron Simmons, advocates for empathy in his essay, “In Defense of the Moral Significance of Empathy,” defending empathy’s importance and virtue in our lives. But he too acknowledges that there is a line between empathy as a virtue and empathy as a detriment. Simmons’ writes, “virtue of empathy [exists] as a mean, between a deficiency of empathy and an excess of empathy,” thus lapses in empathy are important to using empathy in a beneficial way (109). The mechanisms of lapsing empathy will be analyzed through the perspective of passing moral judgment, the modern lens of social media, and misusing lapses of empathy. Sometimes, empathizing isn’t always great. Nor is it always the best course of action. When making moral decisions, various types of empathy, or lack thereof, have different benefits. In Adam Morton’s essay, “Empathy for the Devil,” Morton is concerned with the barrier people construct to prevent empathizing with “the devil,” any person who commits an atrocity. He encourages trying to break down this barrier and disallowing lapses in empathy to achieve understanding between all people, believing that it will lead to a more insightful populace. But for as much as Morton criticizes these lapses in empathy, they serve a purpose. There are instances where too much empathy for the wrong people causes a lapse in judgment and loss of identity, defeating the purpose of trying to gain a more insightful perspective. Rather, lapses in empathy prevent people from losing their morals and sense of self; Simmons also mentions similar support for a reduction in empathy to prevent “losing oneself in the emotional experiences of the other, believing that the other’s experiences are one’s own” (109). While people argue that we should expand our scope of empathy, empathy for all is not the wisest decision, especially in cases that involve empathizing with truly terrible people. Like the strings on a puppet, social media can influence the opinions we have and the actions we make. That is not to say, however, that all lapses of empathy are justified or that empathy is solely controlled by the individual. External factors can heavily influence our empathy and it is advised to be aware of these mechanisms that can elicit or inhibit empathy and introduce bias. During the attacks on Paris, social media released floods of concern and love for France’s capital but failed to acknowledge the analogous tragedy that took place only a day before in Beirut. As this gap in empathy was analyzed, it revealed that amounts of empathy were not elicited on a basis of heartbreak, but rather on a basis of how the respective tragedies were labeled and Paris’ stronger cultural relevance to the audience. Social media capitalized on this and introduced external factors of more sympathetic marketing for Paris that skewed empathy between the two cities even more. When empathy is influenced by external factors, it can cause one tragedy to outweigh another. These external mechanisms controlling empathy are immediately connected to the internal controls we have on our own empathy. Should any external factors deliberately trigger internal mechanisms of empathy, empathy is elicited in a biased manner. While the mechanisms of empathy serve a purpose in preventing people from empathizing with people who commit terrible crimes, news companies and social media have also learned to manipulate those same controls of empathy in a biased way for their own purposes. Harper Lee’s Go Set A Watchman was published years after her prize-winning novel, To Kill A Mockingbird. In the new book, many fans were upset to see Atticus’ iconic character change from Mockingbird. Moreover, individuals are also capable of misusing lapses in empathy on the basis of irrationality as opposed to wrongdoing; one such example is displayed in the controversial Go Set a Watchman. Despite the drastic character change seen in Atticus Finch, Jean Louise’s own lack of empathy for her father when learning of his racism for the first time demonstrates an unjustified lapse in empathy, as she subconsciously locks off her empathy when she find a fundamental disagreement with him. She refuses to see the world from his point of view because she equates Atticus’ thinking to that of a criminal or immoral being. It is not unlike the lapses of empathy mentioned earlier if one removes the fact that Atticus hadn’t really done anything wrong. This is a misuse of the lapse in empathy because it severs a connection not based on physical and moral wrongdoing, but on a basis of not being able to comprehend. Empathy helps connect people to promote understanding, when a person experiences a lapse in empathy for another because of a difference in opinion, it is not our of preserving good judgment or sense of self, but ignorance. The opposite goal of empathy. While one doesn’t have to agree with Atticus’ views or be swayed by them, it does not mean that all empathy is to be removed. Without empathy in the appropriate situation, such understanding can never be achieved. Empathy has a time and place. For the most part, people have good guides on when to empathize and not, but sometimes their own opinions and external factors cloud their judgement. As Simmons writes, “On the one hand, one must be willing to intellectually and emotionally identify, connect, and relate with others. At the same time, one must also caution against certain dangers of excessive empathy. One must maintain awareness of oneself as distinct from others” (Simmons 109-110). Empathy is not a “one size fits all” cure to every situation; it is flexible and appropriate at different times. So despite all of its benefits, it can be best to take a step back and assess whether or not empathy is appropriate. Graham, David A. “The Empathy Gap Between Paris and Beirut.” The Atlantic. Atlantic Media Company, 16 Nov. 2015. Web. 9 Nov. 2016. Marywood University. “Marywood University Philosophy Faculty.” Marywood University. Marywood University, n.d. Web. 10 Nov. 2016. Simmons, Aaron. “In Defense of the Moral Significance of Empathy.” Ethical Theory and Moral Practice, vol. 17, no. 1, 2014; 2013;., pp. 97-111. One of the primary questions facing philosophers and psychologists alike is whether or not humanity has the ability to extend empathy toward those who fall outside of the ingrained in-groups of our psyche. While it is true that “empathy is influenced by social categorization processes,” it is less clear whether or not those outgroup determinations can be overcome through the use of empathy (Tarrant). The following posts explore the human potential and limits to empathy in real world situations, and how they can contribute to the overall understanding of empathy as a universal force. They show that empathy can be extended to both those who commit morally unacceptable behaviors, and those attributed to a psychological outgroups. It also touches on the empathetically void area of the internet, and how the lack of human interaction decreases the expression of empathy. The first post, “We’re All a Bit Sociopathic” explores the issue of evil as an absence of empathy in the human mind and whether or not people can empathize with those deemed evil by social and moral standards. While a lack of empathy is far from the sole cause of evil, it is the most common unifying factor within the darkest minds of this world. Philosopher Adam Morton claims that it is impossible to truly empathize with those who commit heinous crimes, because one can never comprehend committing a truly evil act until they have done so themselves. However, the stance taken in this blog post shows that the feeling of coldness toward those who commit heinous crimes is really the embodiment of empathy for someone who has no empathy for others. It is the ultimate sensation of putting oneself in another’s shoes, because what typically empathetic people feel for criminals is what criminals feel for other people and their victims–emptiness. Thus, through exploring the capacity to empathize with what many would consider to be the worst people in the world, the extent of empathy as a positive force is shown. This interpretation shows that empathy doesn’t have to be the filling of emotions, but can be the evacuation of them as well. Tangential to the lack of emotion in empathy, is the empathetic connection with social media and the internet, where empathy is commonly lacking. The second post, “Chick-Fil-A[‘d] His Life (Think About It)” questions the validity of social media as an empathetic platform and the alienation of strangers found online. Adam Mark Smith was burned at the proverbial stake for haranguing a Chick-Fil-A employee at the drive-through window. After his video went viral the social media mob went after him with pitchforks–immediately delineating him to a cyber out-group–and he was promptly fired and is still jobless years later. While the woman he harassed forgave him, the public still views his crime as indefensible and refuses to back down. This demonstrates an interesting principle of empathy, and its utility on social media: that perhaps scientifically, empathy comes less from words and more from facial expressions. Without being able to see the physical impact of one’s words, the extent of harm cannot be judged so easily, and thus the internet is a perfect platform for bullying and harassment. This analysis of empathy on social media demonstrates a sharp limitation for empathy, showing that for it to be genuine and poignant, empathy must be expressed in the real world. The expression of empathy in real life situations, however, can sometimes extend too far. This is the case with what is commonly know as paternalism in the United States. Post three, “Aversion to Racism-An Unpopular Opinion” discusses the tendency to ignore institutionalized racism in favor of a mask of empathy. 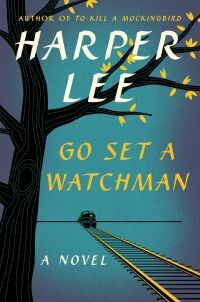 The primary outrage over the publication of Harper Lee’s Go Set a Watchman surrounded the changes in the character of Atticus Finch. Many believed that Lee ruined the altruistic and noble character and replaced him with a racist (albeit more realistic) aging father figure. But what many refuse to see is the underlying racism which permeates the original novel of To Kill a Mockingbird. The willful ignorance which continues to surround the interpretation of the original novel is shattered by Watchman, and serves to highlight the continued paternalistic views held by society. This continuation of an old practice, and the inability to see it, demonstrates the limitations of extending empathy to people in an outgroup. In this case African Americans serve as the outgroup in a white society, and because accepting their differences and extending true empathy towards the outgroup would be too difficult, white society commonly reverts to a practice of paternalism. This is an example of how the results of experimentation do not always translate to the real world. It has been shown scientifically that empathetic feelings can be expanded to include members of outgroups, but work and cooperation will be necessary before the divisive issue of race can ever be resolved in society. The research and readings explored throughout this blog series point to the conclusion that empathy can be held for those deemed as the outgroup. While overcoming ingrained biases may be difficult, “empathy for outgroup members can be encouraged” which consequently means “more positive outgroup attitudes [being] promoted” (Tarrant). The world is still a long ways away from uniting as a species against the wrongs being committed against fellow humans, and equality being shared between everyone in equal measure. But in the end, research shows a “promising way forward for empathy initiatives” and sheds light on the hope for “more positive outgroup attitudes” without eroding social identity (Tarrant). It may be naive to hope that one day the world will consist of only one ingroup-the human race. But if anything can conquer this daunting task, it is the overwhelming power of human empathy. Or an alien invasion, either way. Lee, Harper. Go Set a Watchman. 1st ed. New York: HarperCollins, 2015. Print., Harper. Go Set a Watchman. 1st ed. New York: HarperCollins, 2015. Print. Morton, Adam. “Empathy for the Devil.” Empathy: Philosophical and Psychological Perspectives. Ed. Amy Coplan and Peter Goldie. Oxford: Oxford UP, 2011. 318-30. Print. 12 Oct. 2016. Tarrant, Mark, Sarah Dazeley, and Tom Cottom. “Social Categorization and Empathy for Outgroup Members.” British Journal of Social Psychology 48.3 (2009): 427-46. Wiley Online Library. Web. 1 Nov. 2016. Kakutani, Michiko. “Review: Harper Lee’s ‘Go Set a Watchman’ Gives Atticus Finch a Dark Side.” The New York Times. The New York Times, 10 July 2015. Web. 03 Nov. 2016. Towner, Myriah, and James Nye. “Medical Exec Who Was Fired Three Years Ago over Video of Him Berating Chick-fil-A Staff Is Still Unemployed and on Food Stamps.” Mail Online. Associated Newspapers, 27 Mar. 2015. Web. 03 Nov. 2016. Witchalls, Clint. “Why a Lack of Empathy Is the Root of All Evil.” The Independent. Independent Digital News and Media, 4 Apr. 2011. Web. 03 Nov. 2016. Empathy is one of the most difficult topics to understand. There is no agreed upon definition in the academic community, and in the common population it is often misunderstood. The video above provides a strong definition of empathy. The reality is that is a very broad and oversimplified definition; however I could write a whole separate essay defining empathy, and this enough for the purpose of this blog. One thing that I have found is that people believe that they can easily empathize; yet we still see limitations in human empathy. With this it is apparent that human ability to empathize is fluid based on situation. So how do different factors affect human ability to empathize? One such factor is morality. Human ability to empathize is strongly influenced by our moral code. The three blog summaries below examine how morality interacts with our ability to empathize. First on the relationship between empathy and morality. Majority of the research is geared toward how empathy affects human ability to make moral judgements. The relationship between the two, however, is not unidirectional. “Since our aesthetic judgement is affected by the moral character of the object of aesthetic judgement, a person’s moral decisions might influence the extent to which we empathize with this person,” (Ugazio et al, 167). Empathizing is easier when the person that is the object of the empathy is similar to the empathizer. Thus when morality is involved when the moral codes of the two people line up, empathy occurs with greater ease. In “Where Morton Gets It Wrong” there is this idea that sometimes our morals rightfully inhibit us from empathizing with others. In his essay, “Empathy for the Devil,” Morton suggests that as a society we are unwilling, not unable, to empathize with those who commit true atrocities, and that this limits our ability to fully empathize in every day situations (Morton, 330). I disagree. 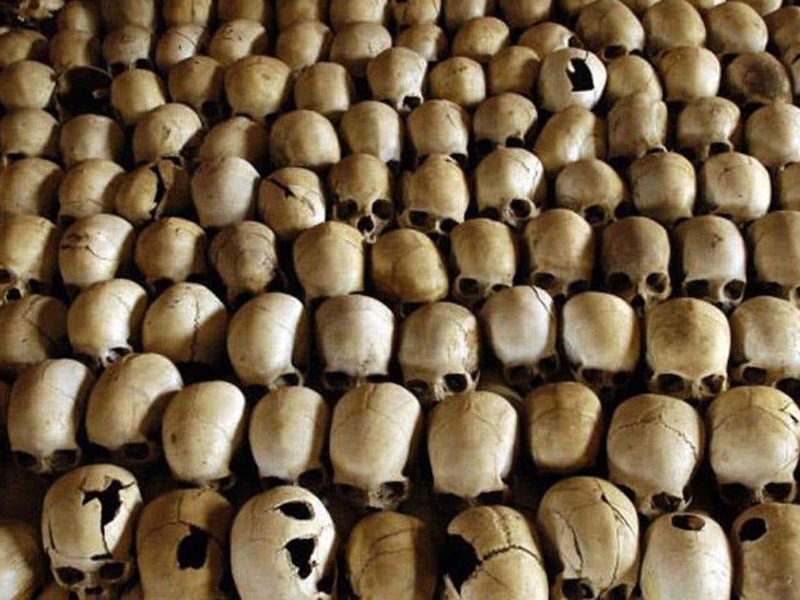 Our moral values prevent us from empathizing with those who have committed true atrocities. We need that moral value to prevent us from empathizing and in turn preventing us from committing atrocities ourselves.Because the moral codes of the person who committed the atrocity don’t align with our own moral code, empathy is inhibited. In the second blog in this sequence “The Damage Social Media Does to Empathy” we examine another time when human morality may inhibit empathy; however, different from with Morton, in this case it can be damaging. The examination of how social media effects empathy is an especially controversial topic because of how young social media is. There are no guidelines on how to properly behave on social media, as there are proper ways to send an email or talk on the phone, so it is hard to understand how it is affecting our society. One specific case is that of 16-year-old Phoebe Cannop, who received negative backlash after she created a racist photograph of her self. Because of the backlash she ended up taking her own life (Matthews). While social media does a lot of good, but in the long run it lowers our ability to empathize with individuals. Our inability to see the whole person behind a social media post allows us to view them for the one disagreeable post and label ourselves as morally superior. While someone may see it as a misalignment of moral codes, it is only perceived and not true misalignment. Empathy is inhibited none the less, but it can cause detrimental effects to the person on the other side of the screen who may have been misjudged. Finally in “The Demystification of Jean Louise”, through the book Go Set a Watchman, an examination of how growing up and developing our own moral codes that differ from the morals of someone who we hold dear can affect our ability to empathize with them. Jean Louise grows up and learns that Atticus and her hometown are not what she remembered. It is difficult because she loves Atticus dearly, but this fundamental moral disagreement that she has with him is pulling her away (Lee). Initially Jean Louise finds it difficult to empathize with Atticus because she feels his morals are misaligned with her own. She finds the disagreement forces a distance between them that was never there when she was a child. Ultimately she is able to overcome the barrier presented by her morality in order to empathize with her father again. The relationship between morality and empathy is complex and interwoven. In the three blogs we see empathy and morality reacting to each other, each with very different outcomes. In the first morality rightfully inhibits empathy, the second morality inhibits empathy when it might not necessarily be good to do so, and in the third a moral disagreement doesn’t ultimately inhibit empathy. The situational complexity of each case effects the desired outcome of the relationship between morality and empathy, however they all have the same initial reaction of misaligned (at least perceived) morals inhibiting empathy. It is important to attempt to understand this complex relationship in order to understand the empathy that humans possess. The more aware we are of the different limitations and relationships of empathy the better we are able to understand the concept of empathy as a whole. Brené Brown on Empathy. Perf. Dr. Brené Brown. Illus. Katy Davis. The RSA. Youtube.com, 10 Dec. 2013. Web. 6 Nov. 2016. Lee, Harper. Go Set a Watchman. First Harper Perennial ed. New York: HarperCollins, 2016. Print. Matthews, Alex. “Halesowen Teen Took Own Life after Fearing She’s Be Called …” Daily Mail.com. N.p., 28 Aug. 2016. Web. 16 Oct. 2016. Morton, Adam. “Empathy for the Devil.” Empathy: Philosophical and Psychological Perspectives. Ed. Amy Coplan and Peter Goldie. Oxford, UK: Oxford UP, 2014. 318-330. Print. Ugazio, Guiseppe, Jasminka Majdandžić, and Claus Lamm. “Are Empathy and Morality Linked?” Empathy and Morality. Ed. Heidi Lene Maibom. Oxford: Oxford UP, 2014. 155-71. Print. Empathy, as I understand it, is the synergistic effect created through the willingness to use perspective-taking and sympathy in order to elucidate another person’s situation, emotion, and even thought-process. The problem that so often occurs when attempting to empathize with someone is our own predispositions and prejudices will sometimes inhibit us from doing so. So how can someone conjure empathy in a time when it’s needed, despite a paradigm that causes this inhibition? Luckily, empathy is malleable, and so, by implementing the right strategies, we can combat empathy’s limitations. Among the many strategies that can be employed, two that I believe would be beneficial to implement are: actively minimizing our tendency to excessively use social media, and deliberately choosing a positive rationale for a given situation rather than assuming the worst in another’s intentions. With two exams occurring at the same time my statistics homework is due, and the deadline for this very blog post arriving sooner than later, I’m extremely stressed out and can’t seem to get a good sleep for the life of me. Can you empathize? There is a divide between those that believe social media facilitates empathy, and those that believe it decreases it. In my focus on social media regarding empathy, I discuss the empathy deficit that has occurred, which undeniably appears to correlate with social media usage. Particularly over the most recent decade, empathy has declined approximately forty percent. This decline is speculated to be due to the rise in narcissism that results from the excessive use of social media (O’Brien). As people become more and more plugged into their online profiles, they’re simultaneously receiving an abundance of media coverage on tragedies around the world that they normally wouldn’t be exposed to. This, in combination with the rise in narcissism, seems to be causing people to become desensitized to the pain others are experiencing. Putting that into perspective, I mention a particular case in which a fourteen-year-old boy takes his own life because of the resulting ridicule he received when a fellow classmate posted a video of him in the bathroom to social media (CBS this morning). I also mention Mel Wiggin’s experience with social media after the Paris attack occurred. In both situations, social media did not appear to elicit empathy, but rather it hindered it. The message to be taken from their experience is clear, and Wiggin’s has led by example. She openly states her own call-to-action; not for others, but for herself. By making her own call-t–action public, her intent is clear in that she hopes others will follow her in taking action as well. The action indicative of replenishing our empathic concern for others. This action is taken by deliberately lessening time spent on social media, refusing to have a phone out at the dinner table, and paying closer attention to how much conversing is done via technology. These are what she believes will be of great benefit to her, and I completely agree. Those that follow this change in ritualistic behavior regarding the use of social media should in theory begin to raise their trait affective empathy, and adhere to more empathic concern for others. Empathy’s Many Masters: Why Her and Not Him? Adam Morton wrote an article titled “Empathy for the Devil,” which had less holes in it to contend with than that of social media’s implication on empathy. His argument distinguishes three dimensions for which we must have knowledge of in order to empathize with someone who commits an atrocious act. He makes the claim that decent people find themselves incapable of empathizing with these people because we don’t like to think of ourselves as capable of committing the same atrocious acts. He calls this “the blinkering effect of decency” (Morton). This is Morton’s explanation for what inhibits us from empathizing. While I didn’t completely disagree with Morton’s proposal, I did impose a counterargument. I demonstrated that it isn’t simply decent people that can’t empathize with those committing evil acts, but rather all people seem to struggle empathizing with any given action performed by another person to some degree. It merely depends on their own unique predispositions, and thought-processes that arise. These immediate thoughts are either allow them or disallow them to desire generating empathic concern. I claim that in order for us to empathize with these transgressors, we simply have to adjust our rationale and allow ourselves the realization that people are flawed (including ourselves), and typically anyone can be capable of committing such an act given the right circumstances (Miller). Essentially, we must give people the benefit of the doubt, as there are many possible intentions behind someone’s reason for acting in such a way. By doing this, we allow ourselves to experience the act in more neutral terms, rather than passing immediate judgement. This strategy for generating empathic concern via changing our rationale combats the immediate prejudice that arises, and allows us to consciously decide to perspective-take in a way that at least tries to eliminate our inherent biases. The outcome for doing so should bring about real change in the previous paradigm that existed before, and will ultimately set in motion a new way of viewing similar situations in the future in a more accurate manner. Dear Harper Lee, Who is Atticus Finch? Here, I describe Atticus’s character from the two contrasting lights that he is seen in throughout both To Kill a Mockingbird, and Go Set a Watchman. The conflicting opinions surrounding this iconic character are intriguing. Some believe he was a good man turned racist, while others believe he was racist all along. These are different people, analyzing the same character. Why does this sound familiar? Again we see that given a situation from which people can both see from different perspectives, those people arrive at different conclusions. This is due to the simple fact that the world is being viewed using different mental models called paradigms. Some can empathize with Atticus, and other’s can’t (or choose not to). The rationale being used to examine Atticus’s behavior in both novels differs from one person to the next, thus resulting in a huge difference of opinion. Another thing to consider is when people are viewing Atticus’s character, they are immediately activating the innate stereotypes and prejudices that underly their mental representations of a given situation. That’s why when it comes to empathizing with someone, it can be quite difficult if that person’s actions don’t match up with how we believe we would have acted in that moment (validating part of Morton’s argument). We see this with Jean when Atticus begins to demonstrate a prejudice she didn’t know existed in him. This newly found version of Atticus (as she see’s him) is not one with which she can empathize with. However, towards the very end of Go Set a Watchman, Jean encounters Dr. Finch (Atticus’s brother) and receives a lecture that really resonates with her. He tells her, “…every man’s watchman is his conscious. There is no such thing as a collective conscious” (265). Essentially, this means her and Atticus are different people, with different perspectives. They are bound to see things differently, but that doesn’t mean they are enemies because of this. They can live in harmony upon her accepting their differing beliefs, and attempting to see things from his perspective. In this example, we see that this approach to changing one’s rationale removes the previous inhibition, and breeds an ability to regain her empathy for Atticus. Everyone has their own way for which they view the world. We use a sort of model that operates beyond our awareness. This is an extremely useful tool of sorts because it allows us to make snap judgements in dangerous situations, and saves us time when the immediate response is correct. However, rarely are our initial responses without bias, and those stereotypes are not as helpful when they’re flawed. Research in the field of perspective-taking has shown “Whether perspective-taking leads to forgiveness or condemnation depends on the intentions the perspective-taker initially attributes to a transgressor” (Lucas et al). This is precisely why it is so important to reduce narcissistic tendencies, and to change the paradigms we have when they are not benefitting us and those we should have empathy for. Like Mel Wiggin’s, I do hope readers of this blog begin to decrease their time spent on social media, because it will combat the narcissism that stands to reduce our empathic concern. I do hope readers will employ a new and improved rationale when faced with a situation that calls for empathizing with others, because it will combat the original stereotypes and prejudices that lay below the threshold of our consciousness. Like in changing any habit, this takes time, effort, and practice. It is my belief that given time, this reduction in narcissism should allow us to regain our empathic tendencies, and increase our desire to perspective-take. If we then begin to choose our rationale of a given situation, we can see a change in our ability to empathize as well as in our ability to empathize, and I’d even argue that we’d see a change in our overall well-being as well. The goal is to stay neutral in our judgment of another’s actions, so that while perspective-taking, we allow the emergence of sympathy. These are by no means the only strategies, and they might not even be the MOST effective, but I do feel that given the information I’ve encountered, these are two effective ways to regain the empathy that appears to be diminishing in the US, and will hopefully bring people closer together (as the function of empathy intended). If you’d like to know more about the importance of empathy, click here. Barney, Kendyl. The Lost Art of Empathy: The Virtue Mankind Still Needs. Washington U, 28 Mar. 2016, https://www.theodysseyonline.com/lost-art-empathy. Accessed 10 Nov 2016. CBS This Morning. “San Diego teen commits suicide after bullying over embarrassing video.” Online video clip. Youtube. Youtube, 16 July 2014. https://www.youtube.com/watch?v=SZJvDhaSDnc. Web. 18 October 2016. Lee, Harper. Go Set a Watchman. New York: Harper Collins, 2015. Print. 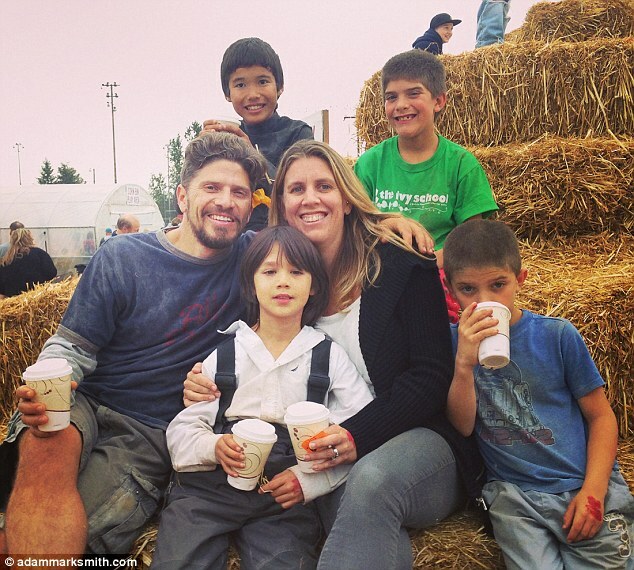 Lucas, B. J., A. D. Galinksy, and K. J. Murnighan. “An Intention-Based Account of Perspective-Taking: Why Perspective-Taking Can Both Decrease and Increase Moral Condemnation.” Personality and Social Psychology Bulletin 42.11 (2016): 1480-489. Web. 05 Nov. 2016. Miller, Rowland S. Intimate Relationships. 7th ed. New York: McGraw-Hill Education, 2012. Print. Morton, Adam. “Empathy for the Devil.” Empathy: Philosophical and Psychological Perspectives (2011): 318-30. Web. 12 Oct. 2016. O’Brien, Keith. “The Empathy Deficit.” BostonGlobe, http://archive.boston.com/bostonglobe/ideas/articles/2010/10/17/the_empathy_deficit/?page=full. Accessed 18 October 2016. To Kill a Mockingbird. Dir. Robert Mulligan. By Horton Foote. Perf. Gregory Peck, Mary Badham, and Phillip Alford. Universal-International, 1962. Unknown. “Empathic Design: Is Empathy the UX Holy Grail?” 2016. https://www.interaction-design.org/literature/article/empathic-design-is-empathy-the-ux-holy-grail. Wiggins, Mel. “Social Media and the Empathy Deficit.” MelWiggins, http://www.melwiggins.com/2015/11/28/social-media-the-empathy-deficit/. Accessed 18 October 2016. Yourself Series. “How can I have empathy for someone who is mean?” 2014. http://yourselfseries.com/teens/topic/empathy/how-can-i-have-empathy-for-someone-who-is-mean/. Yourself Series. “What if that was me?” 2015. https://open.buffer.com/empathy/. Empathy makes us human. To relate our own emotions with someone else’s in order to aid someone is an action that no other creature can perform, except us. Throughout history, empathy has played a significant role in defining who we are as a community, our values, and who we will ultimately become. But why do we as humans decide to empathize with one another? Selflessness is a large motive to empathize with another. The empathizer doesn’t receive any direct benefit, so deliberately going out of your way to help someone else requires kindness. In addition to empathizing, the person empathizing will also build a connection with the other person. It is in human nature to connect with others, as I believe we fear loneliness subconsciously. When we empathize with one another, both parties are no longer alone, therefore providing a reason to empathize. But what really is empathy? It is complex idea; its true reasons prove difficult to understand as many definitions exist. Chanming Duan describes in a study on empathy that “taking another’s perspective and feeling the other’s emotions, pleasant or unpleasant, seem to involve different levels of effort and pleasure” (33). 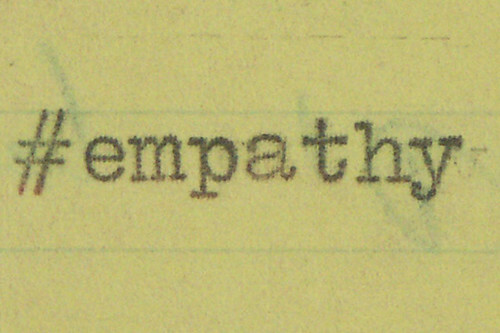 He separates empathy into two different parts: empathic emotions and intellectual empathy. He states that the nature of the situation greatly impacts how an observer will respond to the emotions present. If positive emotions are observed, “when the presenting emotions are pleasant, feeling the emotion may bring the observer more pleasure than taking the person’s perspective” (Duan 33). This pleasant emotion, not unlike laughing, makes another more likely to empathize, or laugh along with the other person. For negative emotions, the opposite reigns true. Duan writes, “feeling another person’s unpleasant emotions can be harder than feeling another’s pleasant emotions” (33). Yet oddly, enough, we almost feel more compelled to empathize with unpleasant emotions, which leads to Duan’s theory why people empathize. There are “psychological gains, such as feeling good about oneself, by showing empathy to those who need it,” Duan states. “The motivation to empathize is more effective in increasing intellectual empathy than empathic emotion, and more so when the target person feels unpleasant emotions than pleasant ones” (33). Intellectual empathy is described as the knowledge that one should empathize, but not the actual emotions of empathy itself. Therefore, if people know that they should empathize, they are more likely too if they see others. This creates a group-like mentality, where everyone each slowly absorbs the empathic emotions of each other. The standard definition of empathy, widely accepted in society. Just as Duan believes, the widely accepted definition of empathy is to use one’s own experiences to support or relate to another going through a similar experience. In my first blog post, I analyzed Adam Morton, a professor at the University of British Columbia, and his view of empathy in the text “Empathy for the Devil.” I believe that Morton’s definition of empathy is incorrect, as his interpretation of the definition of empathy is too similar to that of sympathy. In examples Morton provides, most of the examples I found related closer to sympathy rather than empathy. In his essay, he attempts to explain that empathy can take many different forms, yet the core of his argument, his definition of empathy, is incorrect. But his reason for recognizing these emotions makes sense. In every example that Morton provides, the person “empathizing” does so in order to understand what the other person was experiencing. We attempt to connect with each other to understand each other. Social media and the rise of internet usage has allowed us to connect with each other in many different ways. Sharing pictures, videos, and thoughts allows us to stay in touch with almost anyone, at any time. However, there are many downsides to the increasingly wide usage of social media in recent years. Some sites allow users to remain anonymous, making it impossible for the users to be held accountable for their participation. Anonymity has added a whole new depth of interaction in modern day society. The ability to criticize, cuss out, of applaud someone with no accountability is a frightening power. With internet becoming immensely popular and widely used during throughout the 2000-current, my second blog shows the difference between two times. The event I focused on occurred in 2003, when social media sites were just being developed. The Chicago Cub’s shot at entering a world series was jeopardized because Steve Bartman, a fan in the bleachers, reached out for a ball and interfered. Another example I focused on was the Twitter jokes made by Justine Sacco. Sacco attempted to make some sarcastic jokes that were morally wrong on her Twitter page. Within a few hours, she was trending on Twitter, fired from her job, and her reputation was ruined. Bartman’s experience greatly differed with that of Justine Sacco’s, the only change being the evolution of social media. Both were equally hated, yet the attribute of social media absolutely destroyed Sacco. Bartman, though his act was less morally wrong, was forgiven after a length of time. Both situations were honest mistakes, flawed judgement, but anonymity and accessibility in social media changed the amount of empathy one situation received, yet still the drive is still connection. People chose to express their opinions on Sacco’s “jokes” quite publicly, banding together against a common target. In a way, the situation brought together people on the social media sites, sharing their values with each other and the world. Society’s values change as popular opinion develops. Therefore, society’s views will change, correlating directly with the popular views. This is because of somewhat fear of standing alone opposing the majority. Values of society have changed drastically over time, especially since the setting of Harper Lee’s “To Kill a Mockingbird.” Harper Lee’s first novel differs greatly from the sequel, “Go Set a Watchman.” In the first novel, Atticus is a forgiving, empathizing individual who believes in equal rights. Demonstrating this by becoming the most hated man in Maycomb County, he chooses to defend a black man in a trial against a white woman. Yet in the sequel, there is no such feeling of equal rights. Atticus, now significantly older, has become racist. Saying things like “Do you want Negros by the carload in our schools and churches and theaters? Do you want them in our world?” (Lee 102) Atticus is barely recognizable anymore. Attending events that inspire white supremacy, the only resemblance to the first Atticus is his relationship with his daughter. Throughout the first novel, his legal representation of Tom Robinson was a heroic decision in the eyes of Jean Louise. Not only was her father a hero, but he essentially taught her the importance of empathy and what it means. Atticus explains that to empathize is to “climb into his skin and walk around in it” (Lee 30) However, as she realizes that her father has lacked the ability to empathize with an entire race, she loses this connection with him. This is why I believe we empathize as humans. The ability to connect with each other’s emotions and feel what others feel is astounding, and miles ahead of any other species on this planet. These feelings of empathy move us, form us into groups. It shapes our ideas, our thinking. We empathize to connect with each other.